PC--->MAC How To Transfer Files From PC to MAC MacWindows, "the Web Site for Macintosh-Windows Integration Solutions." Mac/PC Networking Describes LAN of PPC, PC, Classic Macs, Printer, and Cable Modem. Article: from The Mac Driver Museum. PC to Mac File Transfer explains "how to download Mac drivers/software on a PC and get it to a 1.44 Mb floppy equipped Mac. This article was originally written by Matti Haveri in the Classic Macs Mailing list." Article: from The Macintosh SE Support Pages . Connecting your SE to a PC explains how to read PC floppies on Mac SuperDrive and for 800K Macs, how to communicate with PC via Serial Port connection. Articles: from the pickle's Low-End Mac FAQ. How can I get an OS on a Mac using only my PC? How can I get files from my PC to my Mac?. Article: from new Three Macs and a Printer site. Also some ideas of free or cheap file sharing between 1 Mac and 1 Windows PC." with links to other articles. Networking Mac to Mac or PC to Mac with two modems. Using a PeeCee to Download mac OS for A Classic Mac. "This zipfile contains tools needed to move files between your Windows PC and Macintosh systems using floppy disks." [snip] "In addition to this ReadMe, the zipfile contains DISKIMG.EXE and pc_mac.img. The DISKIMG program will create a Macintosh disk on a PC-formatted floppy; it must be run from a DOS window under Windows 95 or NT." Mac CD's on your PC's and much more. It's excellent to use, and can *correctly* handle Mac files on a PC. View or download the comprehensive tutorial manual at the end of "HFVExplorer" homepage." drives (Iomega, Zip, Jaz, Clik, SyQuest, optical, etc). System Requirements: Windows 95, 98, NT or 2000 (16 bit version also available for Win 3.x)"
a Macintosh ROM image to use Basilisk II. --- Easy file exchange with the host OS via a "Host Directory Tree" icon on the Mac desktop." "MacDrive 98 from Media4, using 1.4 MB Mac disks on a PC is completely transparent. It lets a PC do a much better job reading Mac disks than a Mac does with PC disks." "MacDisk, utility to manage Macintosh floppy disks, CD-ROMs and all SCSI media on a PC without any add-on." AppleShare IP 6.x, Personal File Sharing and UNIX-based machines. Plus, print to any AppleTalk-capable printer. HFS format 1.4 Meg diskettes on a PC equipped with a 3.5 inch high density diskette drive." access to CDROM and BIOS/ASPI SCSI devices connected to your PC. Many Mac HFS formatted CDROMS, SyQuest disks, optical disks, etc. can be accessed with this version." drives formatted on a Mac. It does not include 800K Mac disks." machine using "pkunzip", a common DOS utility found elsewhere. Requires 3.5" High Density floppy drive." "The industry leading PC-to-Mac connectivity solution has won many awards,........."
Control Panel, allows the 1.4MB SuperDrive to read/write DOS disks. piece is a control panel. Trash it when the trial period is over. Removable media drives must use DOS Mounter's driver. Temporarily disable other driver extensions (i.e. Iomega Driver)." 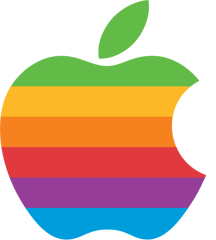 standard TCP/IP protocol instead of AppleTalk and is designed specifically for the Apple Macintosh. It is installed on the Macintosh and no additional hardware or software is required on the PC." reconfiguration is required - you can set up your own Mac and connect to a PC network right away." An application to mount the ISO 9660 portion of a hybrid CD. a Mac of PC. Incompatible with AccessPC. windows. Compatible with Finder 7.1.3, 7.1.4, 7.5.1 and 7.5.3. PCs. No additional PC software required." Mac OS 8.6 or 9.x required. the so-called 8.3 format) or files may have been inaccessible. This Joliet extension is designed to solve these problems.  Java class and/or source files. web content, such as html files. Part of OS 7.6 Installer Utilities disk. Expands DOS file translation capabilities of Macintosh Easy Open. "Easily use DOS/Windows files on your Mac, convert Mac files into DOS/Windows files, convert between different Mac formats." "Open Windows files on your Mac." Warns against accidental erasing of DOS disk when inserted into Mac. "Apple File Exchange is a System 6 & 7 file translation utility application that converts a file from one format to another. For example, Apple File Exchange can take a DOS- formatted file and translate it to a Macintosh format. The file can then be opened by Macintosh applications designed to read the format into which the file has been translated." Apple File Exchange 1.0.1 (included with Sys 2.0.1, 5.0 & 5.1). Apple File Exchange 1.1 (included with Sys 6.0 & 6.0.2). Apple File Exchange 1.1.1 (included with Sys 6.0.3). Apple File Exchange 1.1.3 (included with Sys 6.0.4). Apple File Exchange 1.1.4 (included with Sys 6.0.5, 6.0.7, 6.0.8, & 6.0.8L). Apple File Exchange 7.0 (included with Sys 7.0 thru 7.1.1). Download Apple File Exchange 2 (7.0) instructions. AFE: Remove ProDOS or MS-DOS File System Before Translating 12/11/91 . PC Exchange: For "Extract" use TomeViewer 13d3. "Apple's PC Exchange control panel allows Macs to read PC-formatted floppies and external drives such as Zip drives. Requires System 7.0 or higher." PC Exchange 1.0.4 (included with Sys 7.1.2 (PPC)). PC Exchange 1.0.5 (included in Additions disk of Sys 7.1.2 (Quadra)). PC Exchange 2.0.2 & Mac Easy Open 1.1 Extract from Install Disk 4 of Sys 7.5. PC Exchange 2.0.3 & Mac Easy Open 1.1.1 Extract from Disk 3 of System 7.5 _Update 1.0. PC Exchange 2.0.4 & Mac Easy Open 1.1.1 Extract from Disk 4 of System 7.5.2 Update PB_5300_SW. PC Exchange 2.0.5 & Mac Easy Open 1.1.2 Extract from Disk 3 of System 7.5 _Update 2.0. PC Exchange 2.1.1 & Mac OS Easy Open 1.1.3 Included with Sys 7.6 (Install 14 & Install 7) & Sys 8.0. PC Exchange 2.2 Extract from Mac_OS_8.1_Update.smi.bin-->Update Install Pieces-->Software Installers-->System Software-->Mac OS 8.1 Updater-->Tome 1. PC Exchange: Will it Recognize Windows 95 File Names? (05/20/99) . "The new File Exchange 3.0 control panel unites Mac OS Easy Open and PC Exchange capabilities into a single control panel. The control panel is divided into two sections: PC Exchange and File Translation." This page copyright © 2001-2003 by Gamba. All rights reserved.